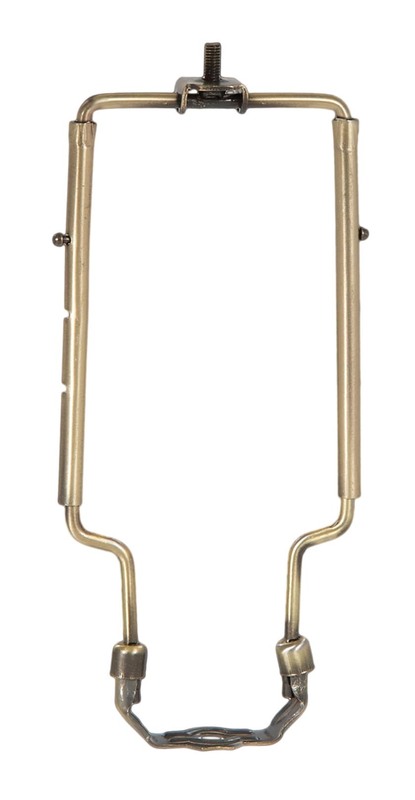 Heavy duty adjustable lamp harp, antique brass finish, adjusts to 9",10", or 11" in height, 1/4-27M top post. Harp base will slip 1/8 IP pipe (approx. 3/8" dia.) Adjustable lamp harp is a convenient solution when exact harp size or lamp shade size is unknown. Clear Acrylic, Flat Triangle Lamp Finial, 2 1/8" ht. No reviews yet for the Adjustable Lamp Harp, Antique Brass Finish, Heavy Duty.